Jill Kessler (Interim Head of ECC/Lower School), an experienced school administrator whose educational philosophy centers around the academic, social, and emotional well-being of a child, comes to us from Pardes Jewish Day School (PJDS) in Scottsdale, Arizona, where she was Head of School for 14 years. With nearly three decades in education, she is widely recognized for exhibiting strong leadership and mentoring skills, building a positive school culture, and fostering a sense of community among faculty, parents, and students. At PJDS, Ms. Kessler built the school's infrastructure, hired and developed a leadership team, improved the quality of the teaching staff, created a culture of continuous improvement through professional development opportunities, advanced 21st century learning through the acquisition of technology, and developed a robust plan for accommodating children with learning challenges. For the past five summers, Ms. Kessler has been very involved with the progressive leadership development series at Harvard University's Graduate School of Education, where she facilitates programming on the latest research on best practices in education. During this program, Ms. Kessler worked together with Jonathan Cannon and they have also partnered on projects for the AVI CHAI Foundation and Prizmah: Center for Jewish Day Schools. Prior to becoming Head of School at PJDS, Ms. Kessler held other Head of School and teaching positions. She is a frequent presenter at national and local education conferences, such as Prizmah and Arizona Association of Independent Schools, and has published numerous articles on constructive partnerships, leadership, and working with diverse learners. Ms. Kessler received her BA in Dance from New York University, a MA in Education with a focus on diverse learners from University of Phoenix, and a Master's in Child Development from Sarah Lawrence College. Lori Ash (Director of Early Childhood) has been in Early Childhood education for over 20 years and started as a classroom teacher. She is lucky enough to have over 200 wonderful children in the program and 40 incredibly talented teachers. She works closely with the teachers to plan their curriculum. It is important for her to know all of the children in the ECC, and she spends a lot of time in the classrooms. She especially enjoys doing science experiments with the children. She graduated from Queens College and received her graduate degree in Early Childhood from Hunter College. Personally, she is the mom of 4 amazing children who keep her very busy when she is away from Ramaz. 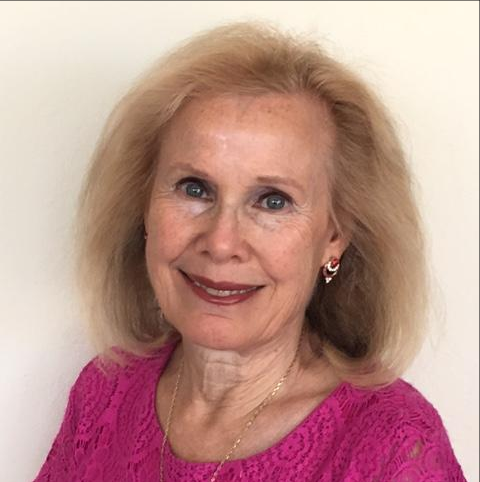 Hedva Ofek-Shai (Director of Hebrew Language Curriculum and Faculty Supervision for Judaic Studies) initially joined Ramaz as an assistant first grade teacher before moving into a teaching position in the Learning Center. Hedva has led the amazing change in our Hebrew program over the last several years. She has designed curriculum, worked with every teacher, and visited every class on a regular basis. She has been tireless in her work. As a member of the ECC and Lower School leadership team, Hedva has been an inspiring colleague, with a refreshing straightforward approach to every situation. Let the office know about your child's absence or dismissal change.